When you were about to become a parent, chances are every veteran parent you knew encouraged you to double up on sleep ASAP — because you’d likely never sleep a full night again, har-har. Not a very hilarious prospect when you’re already stressed AF preparing to welcome your child. Well, we hate to pile on the bad news, but pretty much every phase in your child’s life — from those newborn months to the teenage years — will present different struggles in terms of catching those z’s. The good news? The more aware and tuned-in you are to these shifts, the better assistance you can provide. 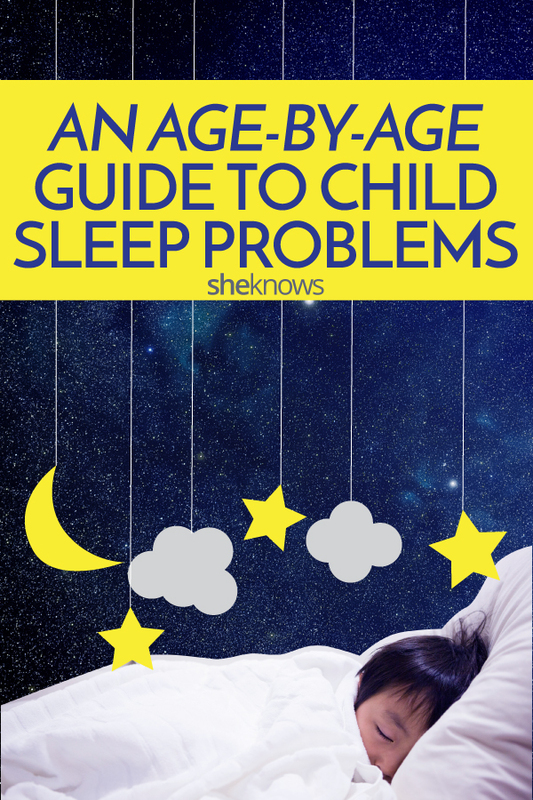 Here, a guide on how to cultivate happy sleepers at any age — straight from the pros. Though the 12 to 16 hours of sleep newborns need in a 24-hour period may seem like a lot (especially since they just essentially napped in a womb for nine months), Makekau says all that rest helps ensure their positive growth. The issue with all that shut-eye, she explains, is that it’s sporadic and doesn’t follow the organized ways adults tend to gather their nightly z’s; the frequent, irregular wake-up calls in the wee hours of the morning leave most new parents exhausted. And it’s not uncommon for newborns to cry every hour or so until they reach about 6 months of age. And if that weren’t bad enough, their randomized sleeping patterns make diagnosing any actual sleep problems difficult, Makekau says. “If a baby continues to wake up several times a night after 6 months, these persistent nighttime awakenings can be disruptive to both infant and parental sleep health,” she says. That’s why it’s important to follow a few basic principles to create a comforting, soothing and consistent — if not entirely Pavlovian — bedtime routine to get your babe conditioned to a sleep schedule. In addition to the tried-and-true tactic of “sleep when the baby sleeps,” Makekau also suggests soothing music — and putting your child down when they’re drowsy, not asleep. That way, they’ll learn to fall asleep on their own. “Not only will these methods help your baby to associate bedtime/the crib environment with falling asleep, but it will help her fall back to sleep more readily and more independently should she wake up in the middle of the night,” she adds. If these strategies prove ineffective past 7 or even 8 months, it might be time to speak with a sleep specialist who can properly diagnose any hidden issues at hand. As you watch their legs steady, their words multiply and their defiance grow exponentially, helping your toddler reap the benefits of the recommended 11 to 14 hours of sleep per day becomes a tad more complicated — and dramatic. 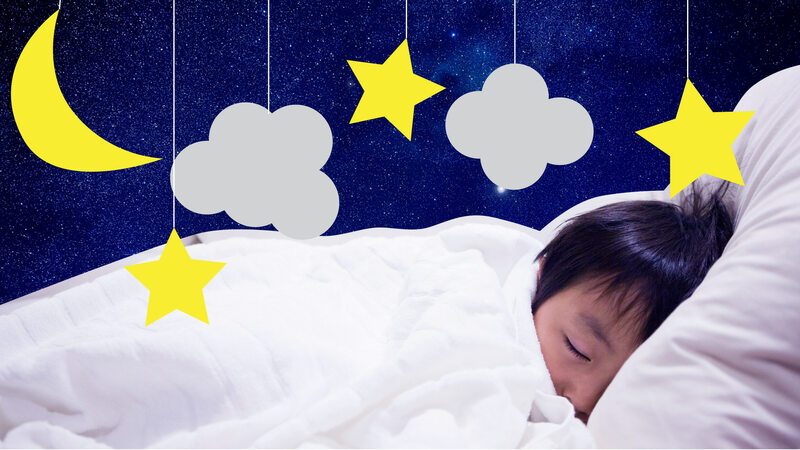 Unfortunately, the development of motor function and cognitive awareness that is essential for this growth can also turn previously peaceful bedtimes into a power struggle and lead to the emergence of bedtime resistance,” Makekau explains. Most growing tots sing to the tune of “just one more” — whether that means one more hug, one more bedtime story, one more glass of water… the list goes on. Makekau says that while these requests may seem innocent and easy to appease, if you continually give in, you’ll delay bedtime and ultimately lead your child to an inadequate amount of sleep. That’s why she urges parents of toddlers to exercise and practice limit-setting, to help kids listen to, follow and adhere to your sleepy-time instructions. This starts by getting into the mindset of bedtime: brushing teeth, changing into pajamas, reading a story and tucking them in. The more you follow this routine, the more your toddler will associate it with falling asleep. And, it gives you plenty of time to anticipate their asks. It’s fascinating to witness your child’s mind at work as they begin to read and write words and describe or draw imaginary lands. Though their imaginations should of course be encouraged, they can unfortunately also plant seeds of fear — since not all imaginary lands are friendly. Makekau explains that preschoolers’ cognitive function, awareness and imagination are all moving at lightning speed right now, making it difficult to flip the mental switch when lights go out. But they still need between 10 and 13 hours of sleep each night. If you start to hear more shrieks from the nursery — followed by your kid running to your bed — around this age, nightmares are likely to blame. Nightmares are frightening but normal; the big worry here is too many wake-ups in the middle of the night, which could lead to sleep deprivation overall. So in addition to the fear-allaying methods above, Makekau says you should place extra emphasis on getting kiddo to bed at the right time. Lucky you! Makekau calls this age range the “golden age of sleep.” Even though kids are still actively and passively learning, they’re also beginning to invest in friendships and understand the importance of listening to their parents. In other words: They’re more than happy to play outside with a soccer ball until the sun sets and still come inside when it’s time for dinner. And more often than not, they’ll actually go to sleep when you remind them — since they’re thoroughly exhausted from the day’s play. This is good news considering elementary school-age kids still need 9 to 12 hours of sleep per night. Though your nearly-a-teenager (*gulp*) still technically requires those 9 to 12 hours of sleep a night, ensuring they prioritize sleep over Snapchat, Facebook and texting is likely much tougher than it was when they were 7. Makekau explains that the bright side of your child’s increased screen use is that it’s often due to increased social independence. The flip side, however, is that those screens will negatively affect kiddo’s nighttime routine. But since you, the parent, are still in charge (even when it doesn’t feel like it), Makekau suggests limiting your preteen’s screen time to two hours per day — and making those hours fall far before it’s time to hit the hay. “Screen time has been associated with difficulty falling asleep and poor overall sleep quality, which in turn can compromise daytime physical and mental functioning,” she explains. And since your kid is now approaching the epic energy drain that is high school, collecting those hours of rest is crucial to their mental and physical health. To describe the teen years and sleep, Makekau has only two words: “not enough.” Considering that plenty of physiological and social changes happen during these pivotal years, it’s normal for your teen to constantly be going through many different emotions and experiences at once. And from increased academic responsibilities and social activities to those first butterflies of high school love, there are countless distractions at hand. That’s why more and more teens are sleep-deprived, Makekau says; one study cited by the National Sleep Foundation estimates that only 15 percent of teens receive the recommended 8 to 10 hours per night. Convincing a teen to go to bed is no easy task, but considering sleep’s influence on all facets of their everyday life and their future, it’s time to put on your parental boxing gloves and motivate them. “Make sleep a priority by encouraging adherence to a regular schedule that ensures enough sleep is obtained nightly and reinforcing good sleep habits — such as avoiding caffeine and screen time near bedtime and getting regular exercise — that will empower them to enjoy healthy sleep into adulthood,” Makekau says.